Being injured in a car accident is a traumatic event. If you or a loved one has been injured due to a negligent driver, your situation is stressful enough. You need an experienced attorney on your side capable of securing the compensation you are entitled to without adding any stress to your life. The Law Office of Jim Davis in Gulfport, Mississippi, has more than 35 years of experience pursuing justice for the victims of negligence. We give each and every case the full attention our clients deserve, using our extensive trial experience to achieve results that meet their unique needs. 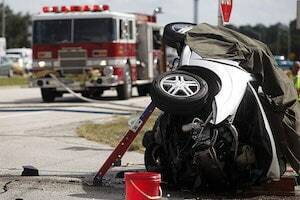 In car accident injury cases, experience matters. To discuss your legal needs with a knowledgeable personal injury lawyer, call us at (228) 864-1588 or toll free at (877) 576-7279 for a free case evaluation. There is a three year statute of limitations for pursuing personal injury claims and a one year statute of limitations if the defendant is a government entity. This makes it critical to consult with Jim Davis as soon as possible. The sooner you speak with an attorney from our firm, the sooner we can begin gathering evidence, interviewing witnesses and preparing your case for trial. In addition to taking pictures of the scene where possible and getting the names of witnesses, it is important to keep all of your medical bills and other documents that deal with injuries you have sustained in your accident. To discuss your case with a dedicated attorney, contact us today for a free case evaluation. There will be no fees unless we recover for you.